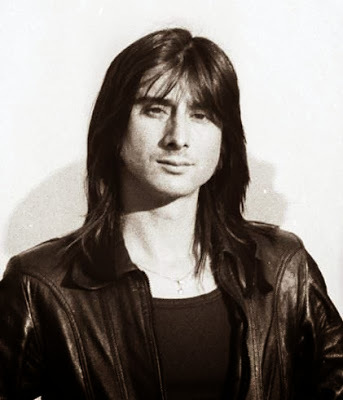 Former Journey singer Steve Perry made a rare public appearance onstage at the Guitar Center Drum-Off Finals in Los Angeles, and video from the event has surfaced. Perry was on hand to support friend, drummer Steve Ferrone, who was being inducted into the Guitar Center Hollywood Rock Walk. The reclusive singer performed back-up vocals at the event, joining Ferrone and a host of musicians for an all-star jam on "Pick Up The Pieces" by the Average White Band – the drummer was a member of the group from 1974 to 1983. The jam included Questlove from The Roots, bassist Will Lee from Paul Shaffer's band on The Late Show with Dave Letterman, Hamish Stuart, Molly Duncan, Oz Noy, Larry Williams and Dave Green. On the red carpet before the show, Perry was asked what he’s been working on lately. "I've just been writing music and seeing what I can find," said Perry. "It's such a new cool world of music when you're mixing electric music and rock like Muse and Imagine Dragons. I think it's such a cool new kind of direction." Last month, AWOLNATION frontman Aaron Bruno revealed that Perry has been working with the band as they record the follow-up to their breakthrough debut album, 2011’s “Megalithic Symphony” - read more about the project here.